Pancake Day is near and we are sorry to inform you but traditional pancakes have very little nutritional value, apologies for being the bearer of bad news. 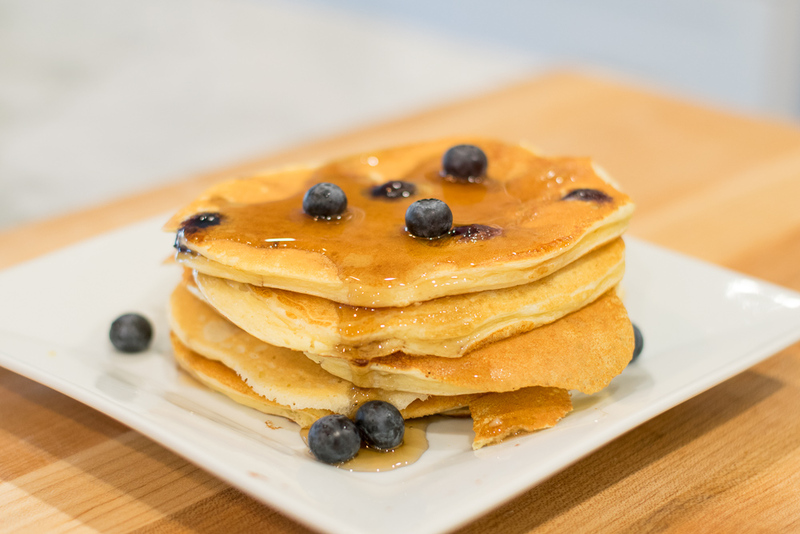 However, fear not, this recipe for protein pancakes with no added sugar and loaded with muscle-repairing protein, they should remove the urge to pig out on their sugary cousin. This recipe is so simple and takes just minutes to prepare and whats even better is a great way to kick-start or end your day with a protein boost! If you are training and monitoring your nutrition you will already know the importance of protein in repairing and fuelling the body. Blend everything and distribute a portion of the mixture into a non-stick pan. Now don’t go mad with the toppings! Absolute Training and Nutrition is an exclusive training facility in Barnstaple. We offer Personal Training, Semi-Private and Group Training Sessions as well as Pilates and a Deli in our Studio on Pottington Estate. Make sure you check out our other premises – Absolute Spin – Home of indoor cycling in central Barnstaple. Contact us info@absolutetrainingandnutrition.com or give us a call on 01271 370600. Make sure you are following us on Facebook, Twitter, Instagram, Pinterest and YouTube.